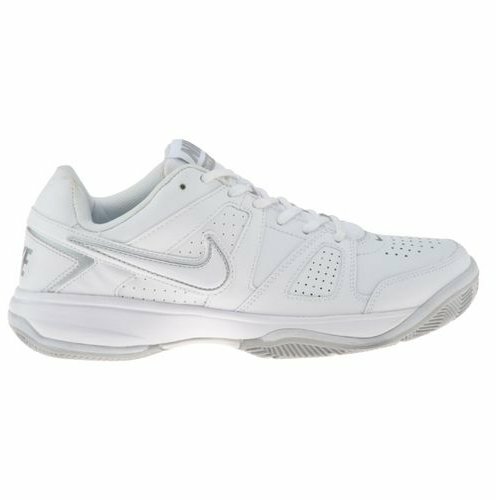 Have the competition on their toes when you enter the court in the Nike® City Court VII tennis shoe. With a perforated leather upper and mesh tongue, this shoe is designed for only the utmost breathability and comfort. A lightweight, full-length Phylon midsole absorbs impact and provides cushion. The rubber outsole features a herringbone pattern that offers the ultimate grip and durability needed to return any ball that comes your way.